As I pulled up to the farmer’s market, the rain began to fall on my windshield. The patter of rain combined with the rich smell of coffee from my thermos created a soothing environment; one which I was not willing to give up for the frigid rain and biting wind that waited for me outside of my vehicle. It was one of the first truly cold days of fall and with my winter clothes still in storage, I was poorly equipped for the weather in my cargo shorts and a t-shirt. With a grunt, and a final sip of my coffee, I got out of the car to make my cider purchase. 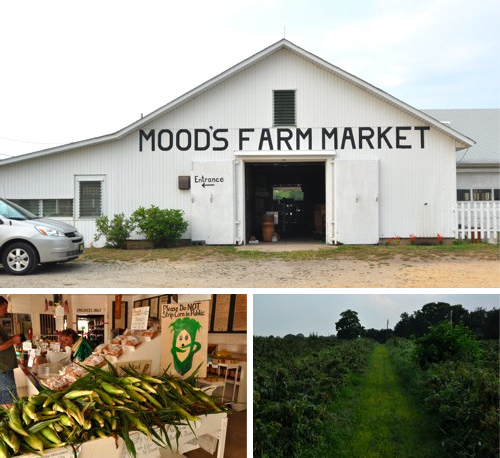 Mood’s Farm is located in South NJ, located far enough away from the major commerce areas to be considered rural, but not so far away that it’s a challenge to get to. The farm market where they sell their produce is a bit run down, but it’s age certainly gives the building character. If you are in the area, I certainly recommend checking out this local hub. 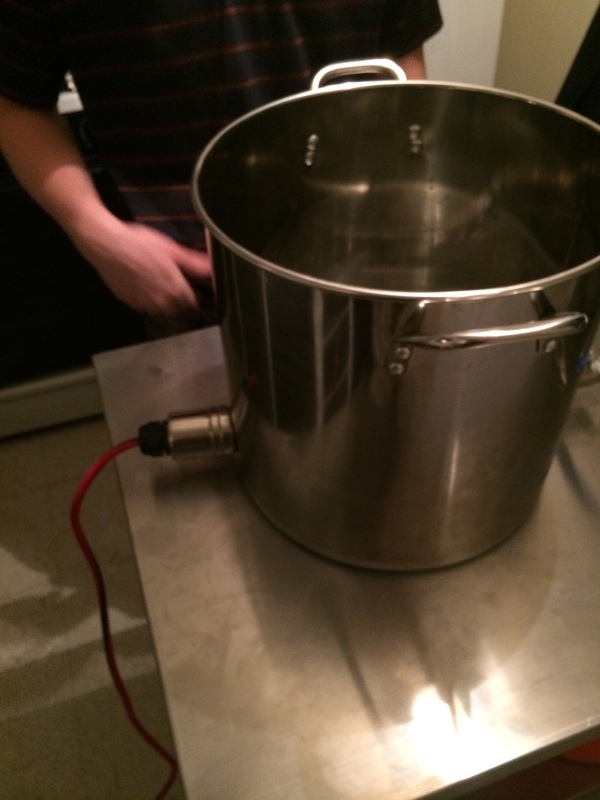 Among the home brew community, Mood’s is known for one thing in particular… Cider. 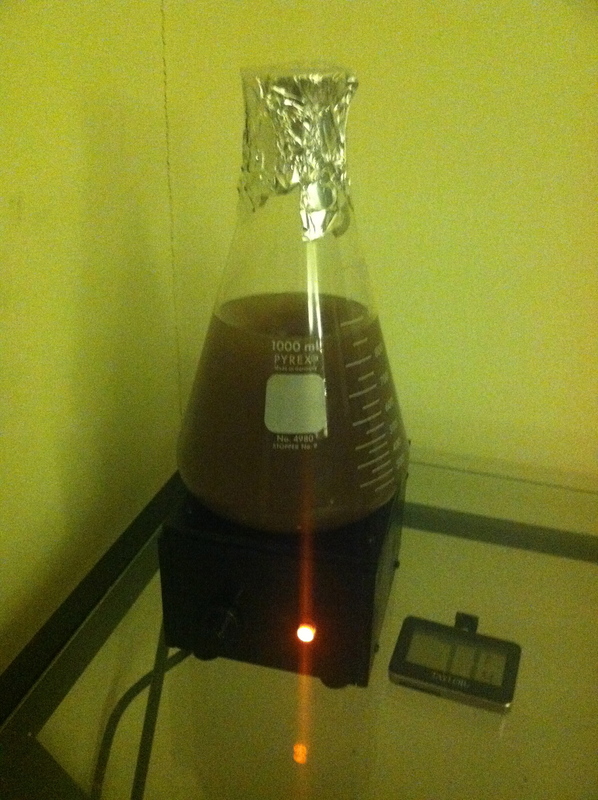 After pressing, they run their juice under a UV light, thus “cold pasteurizing” their cider. It allows for a preservation of taste but more importantly, it allows for fermentation without the interference of chemical preservatives. 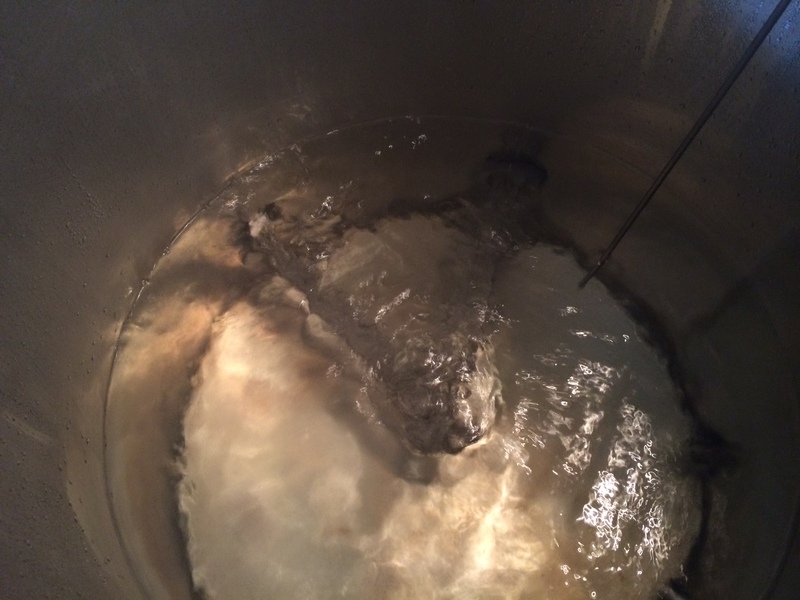 The juice that they create is primarily sweet, but it does have enough tannin and acidity to make it worth fermenting and acceptable as a hard cider without the need for chemical adjustments (although adding acidity brings this cider to a whole new level). 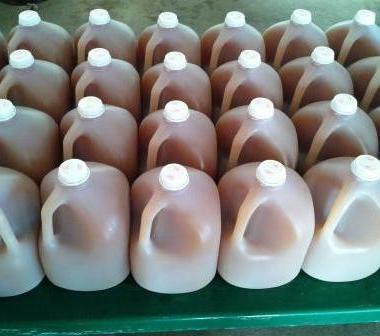 This year I made a grand purchase of 20 gallons of Cider. 6 Gallons of that cider went to a class I taught at Keg and Barrel Home Brew Supplies, the remaining 14 gallons was mine to play with. I divided the cider up into 4 different projects: One Apple Wine, Once Hard Cider, and Two Apple Meads (Cysers). I’ve compiled my list of fermentations from this years cider, I will be updating them as the year goes on and the ciders reach completion. 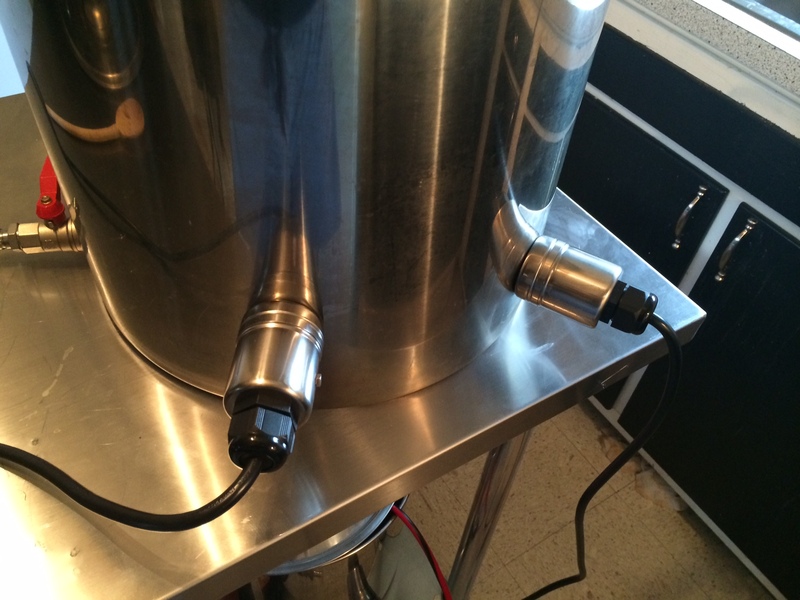 Need a little flare for your keezer? Refrigerator looking a bit plane? Drunk, Bored, and need something to do with all of the bottle caps you just liberated from that delicious beer? 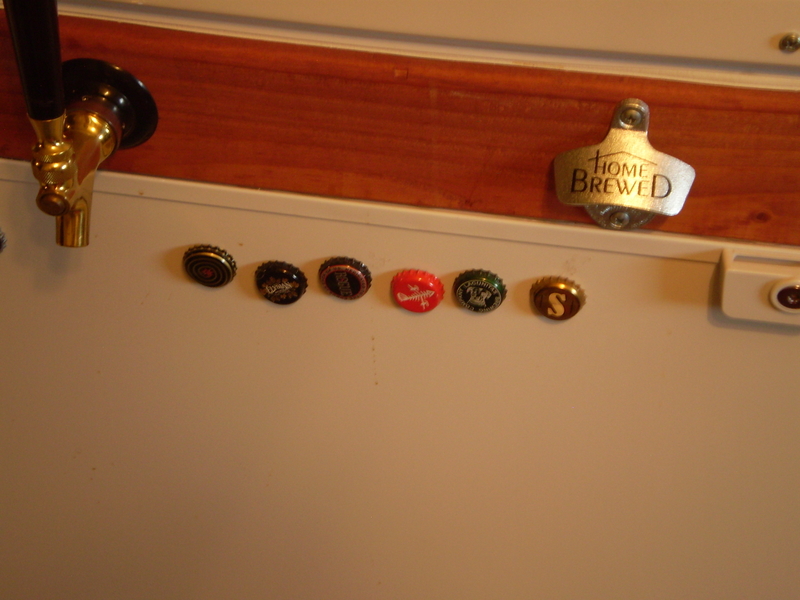 If so, these Bottle Cap Magnets are a really fun project that is easy to do and a great/cheap/reversible way to decorate any magnetic surface. I think that each of these little beauties took about 1 minute and they are almost instantly ready to put on your fridge. 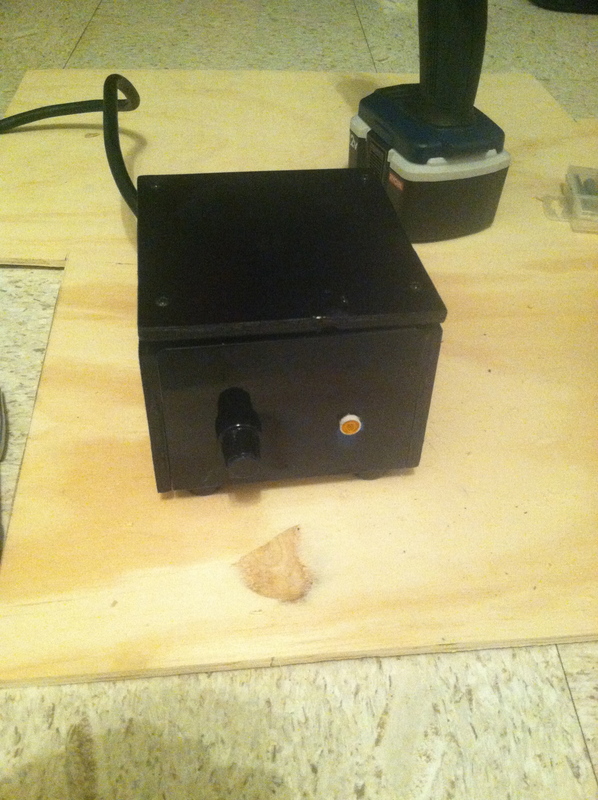 One quick tip is to place a quarter on top of your cap while prying it open. This will give you a perfectly flat faced cap and it will look practically brand new.. You will probably be fine opening it the normal way, but why not take an extra minute and make your project look even better. 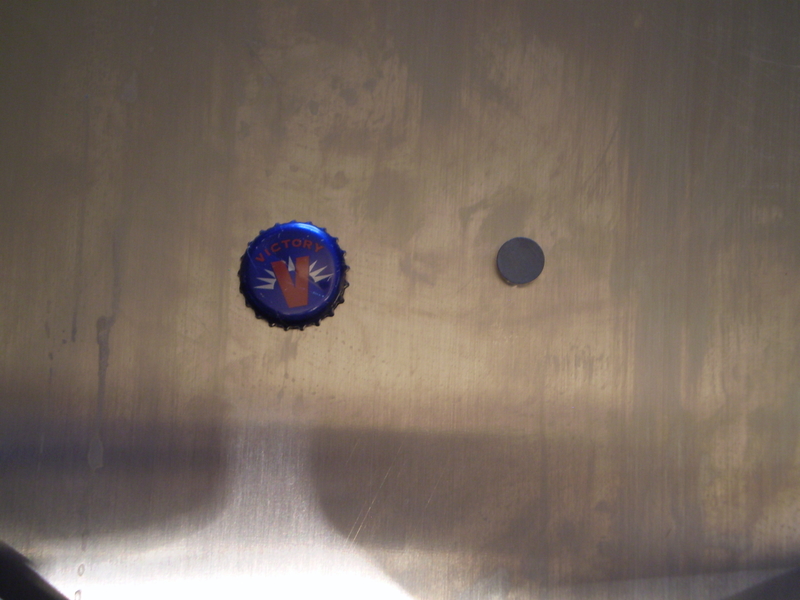 Process: Simply put a drip of hot glue on the back of the bottle cap, add magnet, put on metallic surface of your choice. A while back I purchased an old spin plate from ebay that was being sold as part of an industrial warehouse clearance sale. The plate was a fantastic deal at $25, but was definitely beat up. 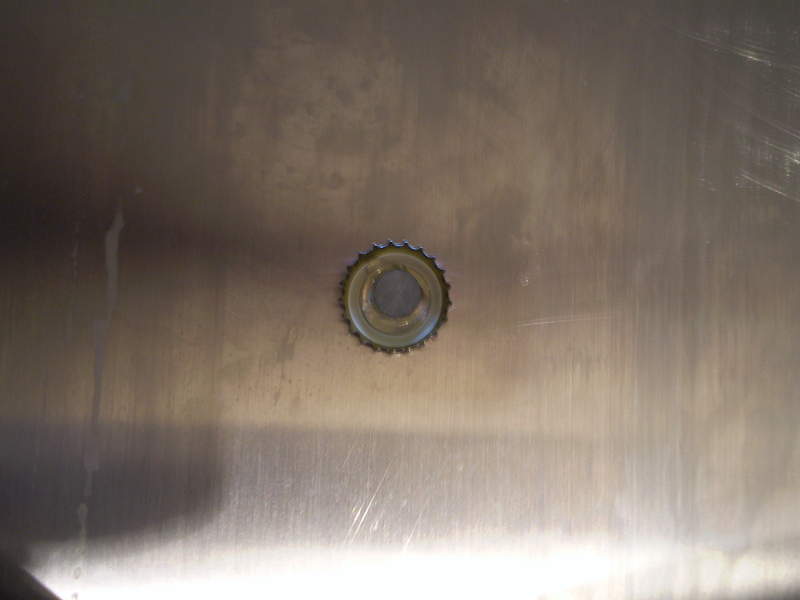 Part of the metal covering was corroded and the machine looked a bit grungy. 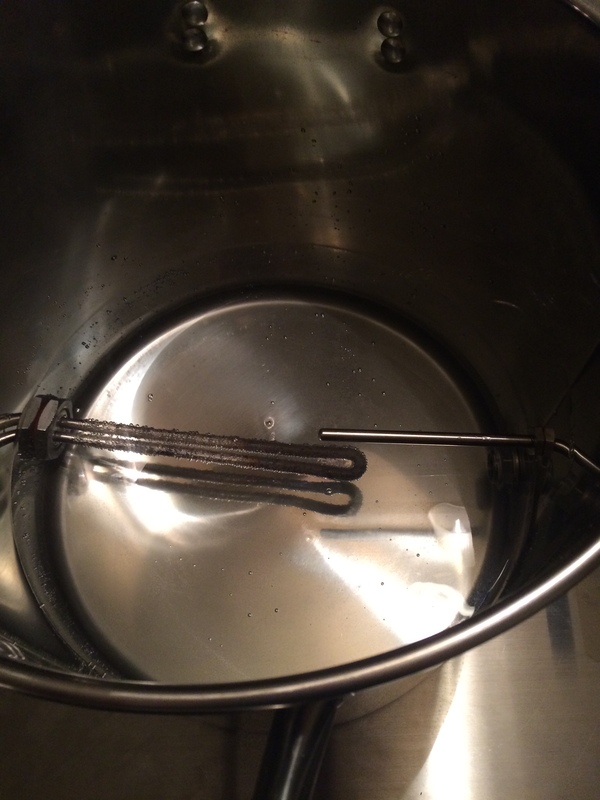 As much as I love a healthy dose of industrial chemicals in by beer, I felt it would be best to clean up the spin plate a bit. 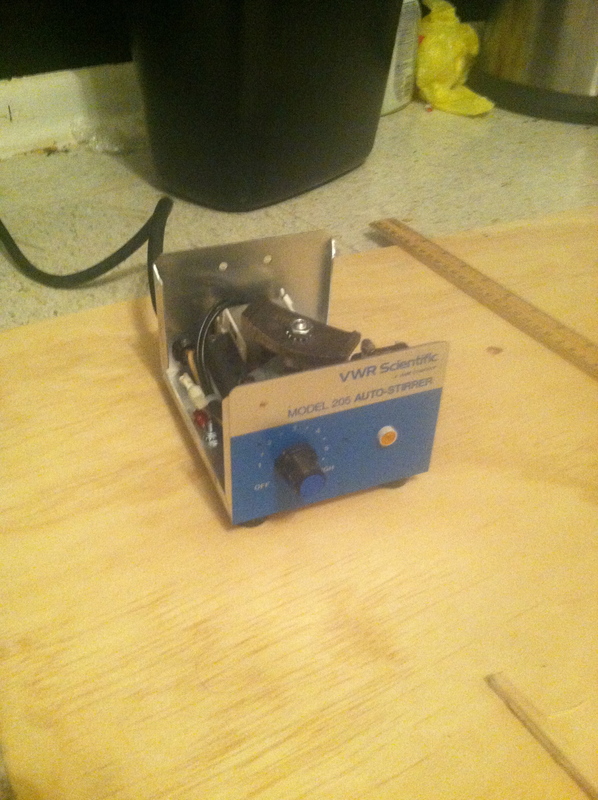 I decided to rebuild the frame using plywood, then spray paint the whole unit. I think it came out pretty well and for $25 and $5 in repair materials, it was a great deal.